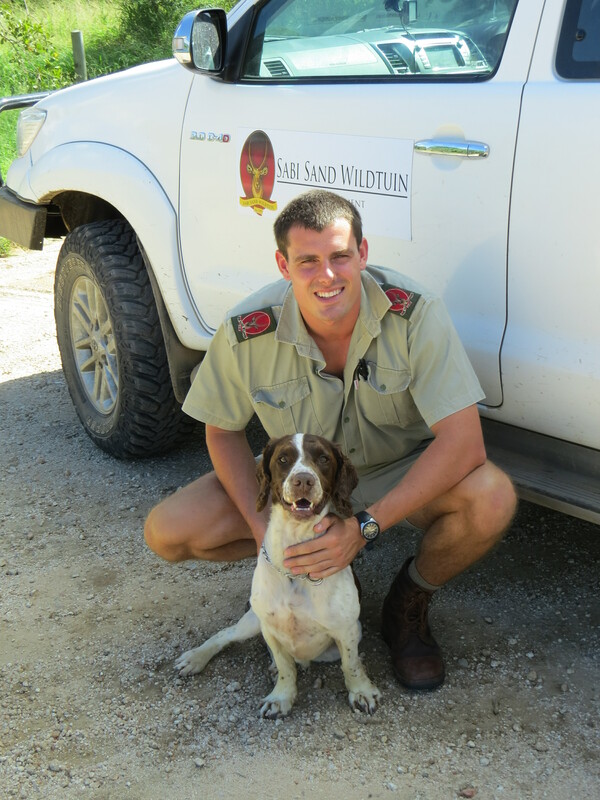 Sponsored by The Dis-Chem Foundation via Jacaranda’s Purple Rhino Project, Bobby Rhino Dog – a Springer Spaniel – has been successfully deployed in the Sabi Sand Wildtuin. Bobby was trained by the MECHEM Dog Unit and is a detection dog, able to sniff out both rhino horn as well as ammunitions. This combination of scent imprinting is new – traditionally dogs are trained as either ammunitions dogs or endangered species dogs. Bobby has bonded very closely with his new handler-dad and will play an active role in the fight against rhino poaching in this reserve.